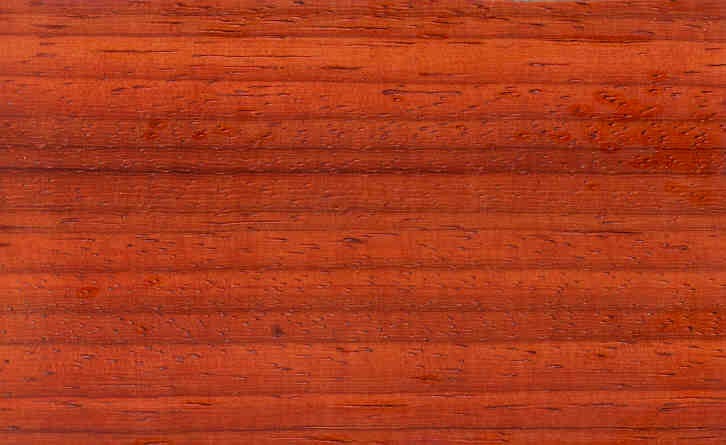 Padouk is a brilliant red wood with pronounced figure from India. 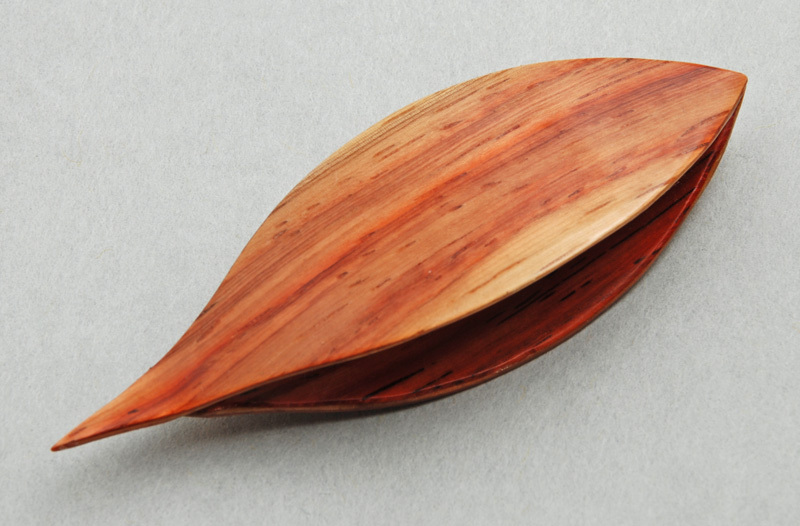 The grain is broadly interlocked, the texture medium. It has medium strength and is springy. It has high stability. See Wood Terms for an explanation of terms. Makes a wonderful shuttle. This shuttle is "Candy Striped" Padouk, at least that's what the veneer supplier called it. I may not be able to get more of this veneer when what I have is gone, but I have enough for a while.